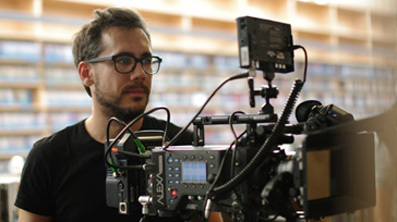 Klemens is a Vienna based cinematographer who studied at the Vienna Film Academy and was granted a scholarship for the 2011 Budapest Cinematography Masterclass led by Vilmos Zsigmond. In 2013 he shot his first feature MACONDO which premiered at the Competition of the 2014 Berlinale and subsequently won numerous international awards as well as a nomination for Best Cinematography at the Austrian Film Awards 2015. His second feature THE EREMITES had its premiere at the Venice International Film Festival in 2016 and won Best Cinematography at the Austrian Film Awards 2019. The documentary BROTHERS OF THE NIGHT was selected for the Berlinale and won Best Cinematography at the RIDM Festival in Montreal as well as a nomination for Best Cinematography at the Austrian Film Awards 2017. Recent films include JOY (Venice Int. Film Festival 2018, Winner London Film Festival 2018), THE DARK (Tribeca 2018), ARE YOU SLEEPING, BROTHER JAKOB? and MOVEMENTS OF A NEARBY MOUNTAIN which won Best Cinematography at the Diagonale Festival 2019.